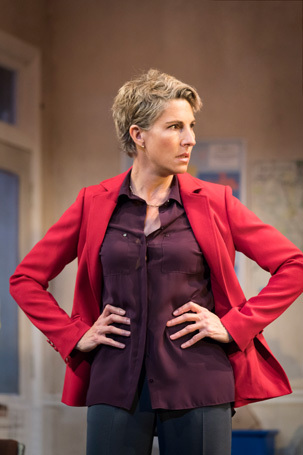 Few living playwrights get to see two of their new plays run concurrently in the West End. Fewer still can boast a revival setting out on a national tour, and an upcoming premiere in Chichester – and all in the same year. But with this offering, James Graham, the doyen of British political playwriting, has lost a little of the magic touch that has sustained him for the last few years. Set across 27 years of a Midlands constituency office and checking in on the relationship between New Labour MP David and his Old Labour constituency agent Jean, this is a safe seat of a play. 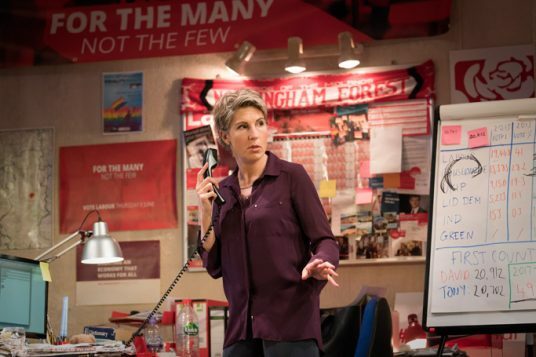 Several of the weakly satirical jokes feel like they’ve been borrowed from old episodes of Have I Got News for You, the few plot turns there are feel contrived and the love story the play promises is a bit tacked on. But Jeremy Herrin’s production eventually gets to the heart of Labour’s decades-long civil war, and it’s polished by a magnificent performance from Tamsin Greig as lifelong Labour campaigner Jean, taking over late in the day from Sarah Lancashire. Greig milks every comic moment, using her effortless timing to eke out unexpected laughs. She makes Jean a powerful mixture of warm and formidable, fleshing out the slightness of the ‘will they, won’t they?’ plot by creating this loveable battleaxe. 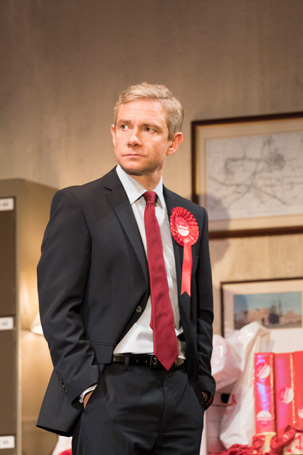 Martin Freeman is also excellent as MP David Lyons, doing the classic naturalistic Freeman thing: catching himself mid-line and cutting it off peremptorily, using his eyebrows and jutting neck to finish off the thought. They’re supported by an icy, upper-class turn from Rachael Stirling as David’s Tory wife Elizabeth, bringing perfect posture and immaculate, expensive clothes to the rundown constituency office of Lee Newby’s set. Between scenes, as that set revolves, newsreel of significant moments in political history over the past quarter of a century is projected on to screens: from 2017 to 2011, then 2001, 1994 and 1990. Like those montages, the play is a bit whistle-stop. Necessarily, in the span of time it covers, Graham only has time to scratch the surface of the internecine warfare of Labour Party politics. Only in the last quarter does the play come together, with some thrilling speeches on centrism vs the hard left. Graham can certainly pack a great deal of power into very short lines. When it attempts humour or, worse, satire, the punchlines are visible from far away and the play suffers. Graham is on far firmer footing when his characters launch into scene-long debates about different visions of the Labour Party. 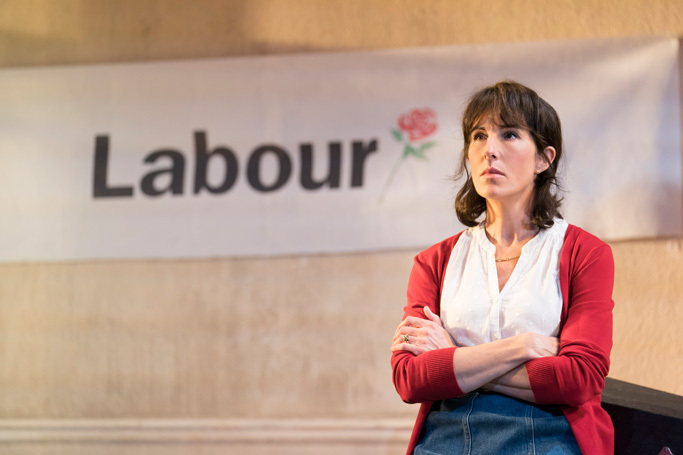 Labour of Love is ideal West End fodder: light, political and nostalgic. It’s not great comedy, but it’s a good play and perfectly performed.